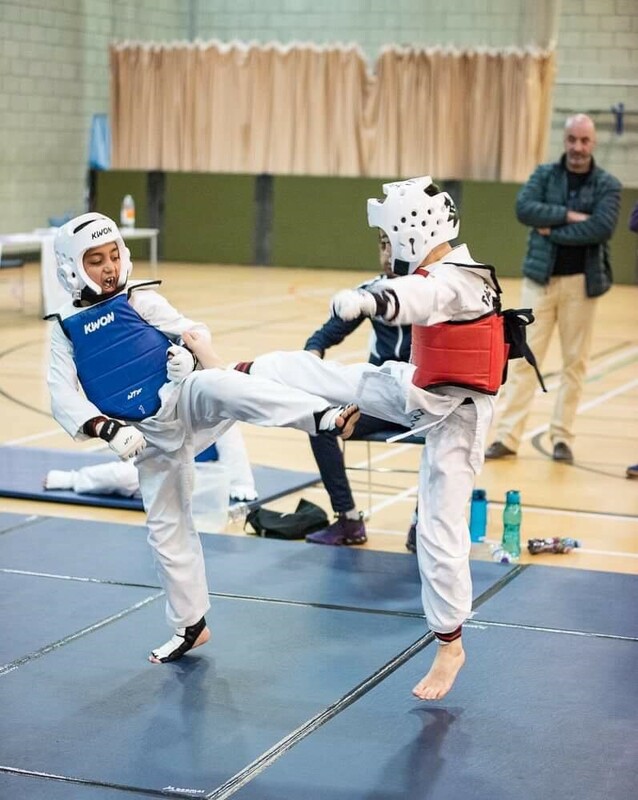 Mulberry Academy Shoreditch once again had the honour of hosting the MAS Taekwondo Championships in partnership with Hadri Taekwondo. 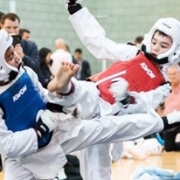 The aim was to promote Taekwondo, sports and healthy living within the Local Community. Hadri Taekwondo has been teaching classes at the school for over 6 years and had put together a team of 65 players to represent the school. 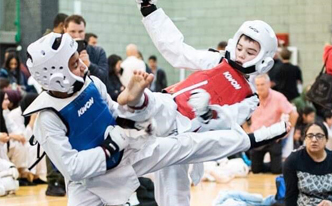 Clubs and School throughout London are invited to participate in sport sparring (Kyrugi in Korean) and technical forms (Poomsae) competition. It’s always an exciting day full of action and family fun. As always we started the day with 4-6 years old hitting the mat. Parents were in the crowds biting their nails with anticipation and worry. The children were fighting with their heart and soul to win that gold medal. It was a high energy start to the morning with lots of cheering and excitement. The home crowd cheered as MAS fighters, 7-9-year-olds students entered the ring. We had a strong team this year with lots of first-time fighters too. The first time fighters were not holding back and gave it their all. Out of 10 potential golds, MAS fighters won 8 golds which were a super start to the morning. Senior matches are always a delight to watch so Richard and Amir did not disappoint. 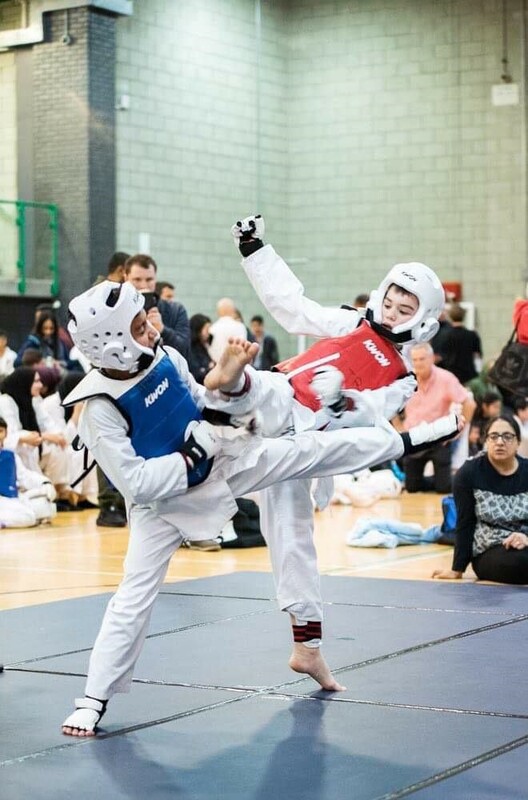 Richard started his match confidently leaping in with the first kick and applied kick after kick to his opponent. Amir wasn’t fazed, and his experience was showing. He blocked and dodged the kicks till he saw the opportunity to score and he did. It was a battle of skill and the crowds were on their feet. Amir eventually took the lead and protected it and earnt a well-deserved Gold. MAS Taekwondo Team was awarded 1stPlace once again and the team was led Master Esrar of Hadri Taekwondo Academy.